GSG Expo Updates: 3 of the top 10 fastest growing online retailers are mattress companies! 3 of the top 10 fastest growing online retailers are mattress companies! This year? The craze is mattresses. Last year's craze, Dollar Shave Club, was on target to double the previous year's online sales. We'll have to wait and see if the this year's "craze," online mattress companies, replicates that kind of trajectory. Or do you? GSG already has the equipment you need to tap into this explosive market. Start with the TK381 Roll Pack Machine. Here's a key differintiating factor: it's capable of roll packing foams AND spring products. 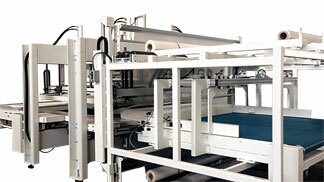 Click here for more related mattress equipment to help with production of this kind of product. Contact your GSG rep to get rolling on this fast-growing sector of online sales!